Director of City’s MSc programmes in Air Transport/Aircraft Maintenance Management, Captain Tilmann Gabriel, has been appointed Vice Chairman of the International Pilot Training Consortium (IPTC). 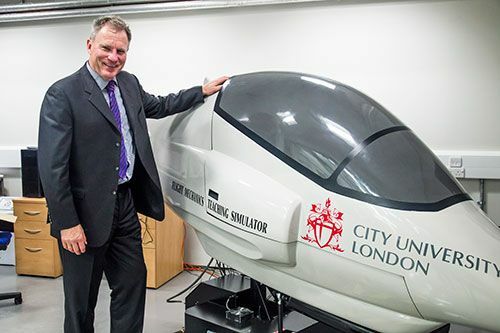 Director of City’s Masters programmes in Air Transport/Aircraft Maintenance Management, Captain Tilmann Gabriel, has been appointed Vice Chairman of the International Pilot Training Consortium (IPTC) by the Board of the Royal Aeronautical Society (RAeS). The appointment took effect on 8th September. The objective of the IPTC is to improve the safety, quality and efficiency of commercial aviation by developing international agreement on a common set of pilot training, instruction and evaluation standards and processes for the benefit of the industry worldwide and that will result in fulfilling the provisions of the International Civil Aviation Organisation (ICAO). The IPTC’s Steering Committee members are ICAO, the International Air Transport Association (IATA), the International Federation of Airline Pilot Associations (IFALPA) and the International Coordinating Council of Aerospace Industries’ Association (ICCAIA). The International Civil Aviation Organization (ICAO) is a United Nations specialized agency, created in 1944 upon the signing of the Convention on International Civil Aviation (Chicago Convention). ICAO works with the Convention’s 191 Member States and global aviation organizations to develop international Standards and Recommended Practices (SARPs) which States reference when developing their legally-enforceable national civil aviation regulations.